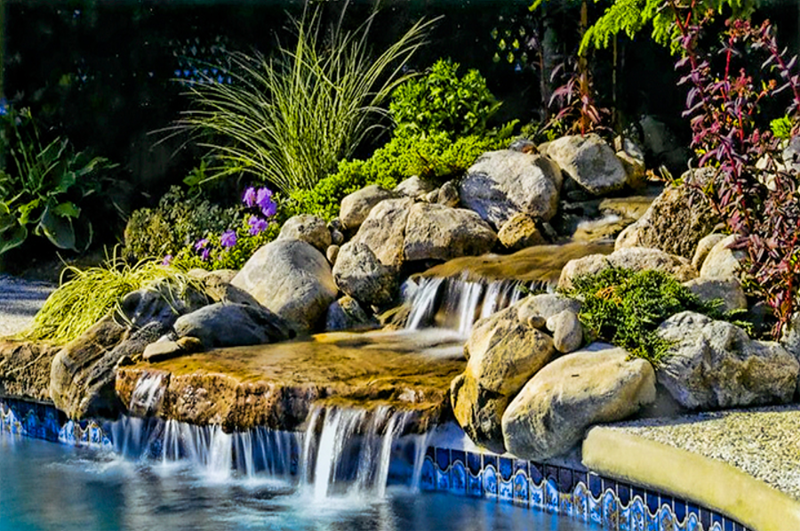 Poolside water features bring the elements of sound, motions and tranquility to your poolside patio or deck. 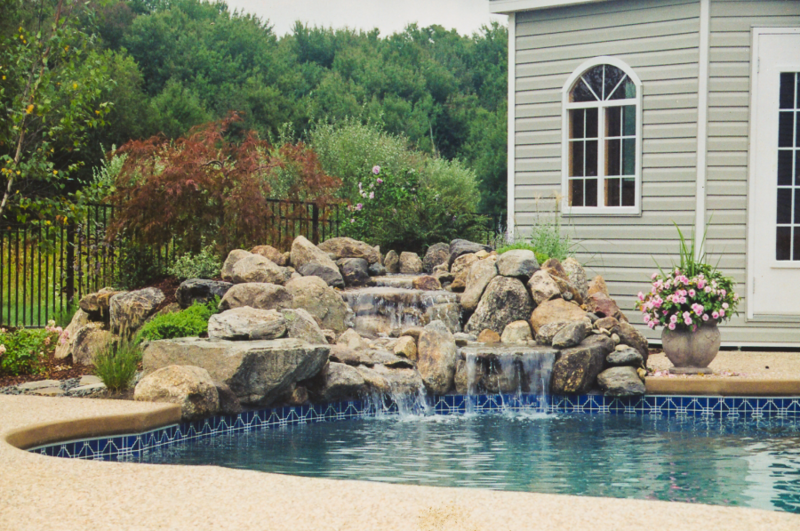 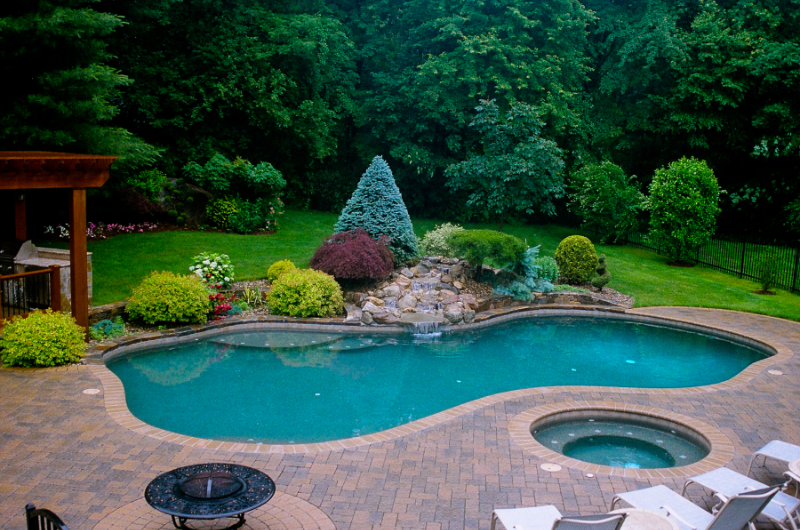 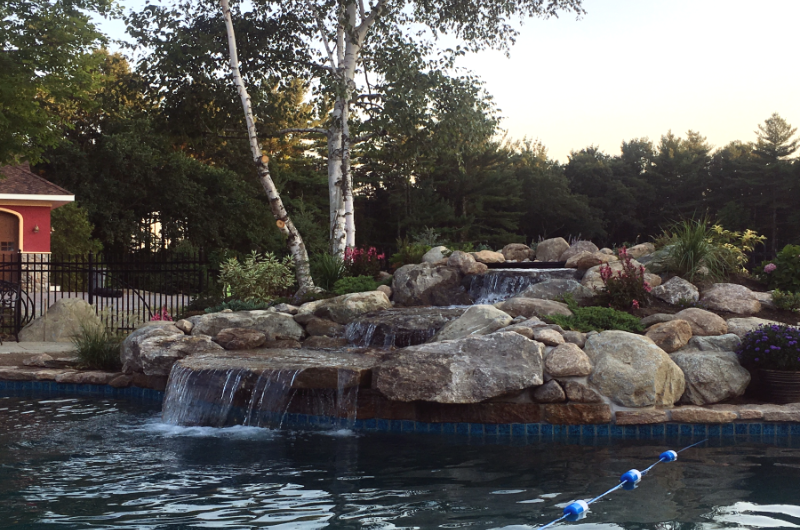 They add interst and eye-appeal to your pool area, and turn your backyard into a veritable oasis. If you've never considered a poolside feature, maybe it's time to give some thought to the possibilities! 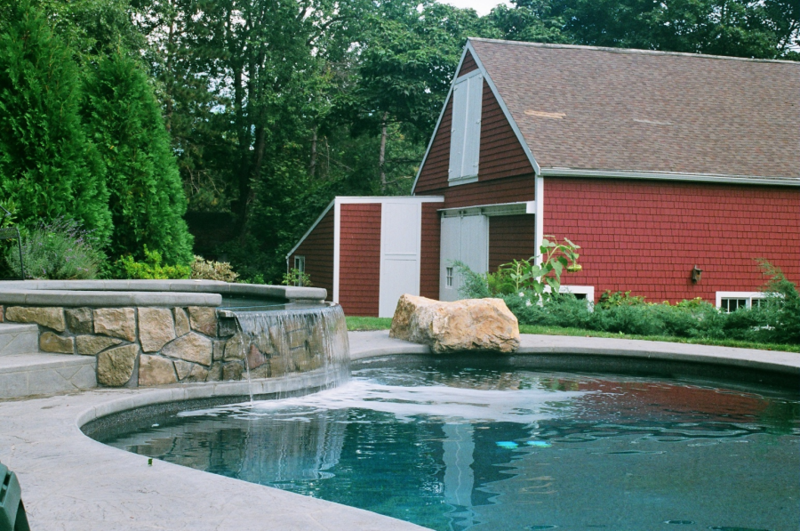 Our poolside designs have been recognized in the region as being the "best of the best." 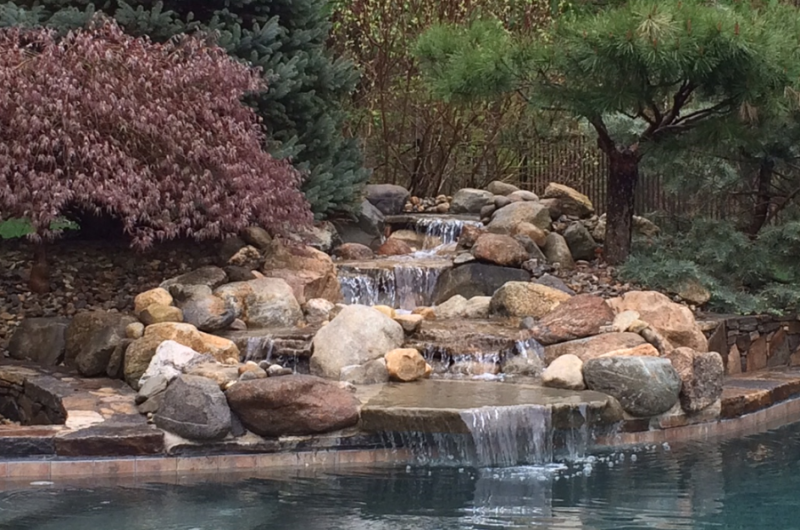 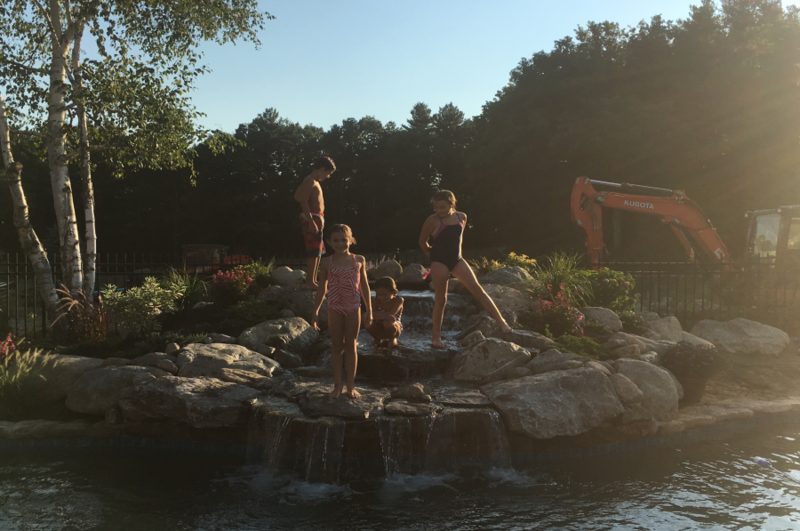 Be sure to take a moment to visit our water features page. 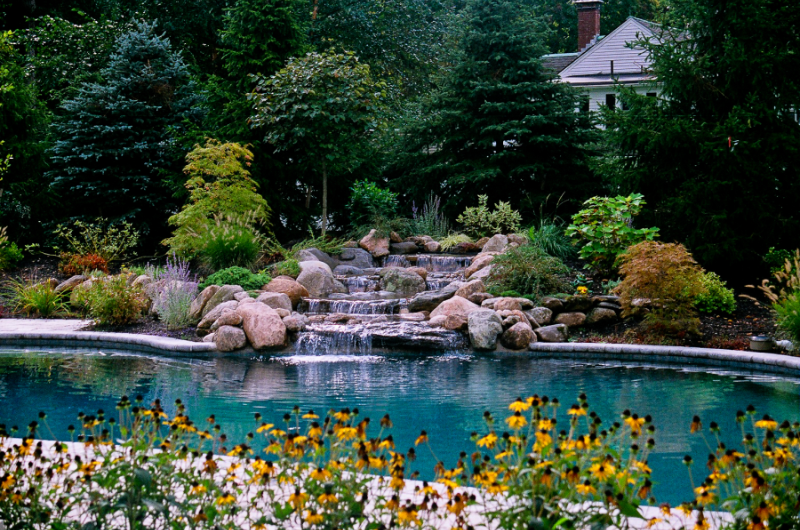 Sure, we've won numerous awards, but our photos show you in stunning detail!